For many folks in the United States of America this is a week of recipe finding, harvesting, planning, packing, sharing, travelling, arriving, visiting, cooking, and finally, feasting and of course, giving thanks. Around this time every year the Four of Us have favorite books we re-read over and over one of them is this week's Book of the Week: Brother Eagle, Sister Sky. We are reminded about how important it is to listen to one another, to hear each other's stories, pass them along, and hopefully learn from each other. "The origins of Chief Seattle’s words are partly obscured by the mists of time. Some call his words a letter and some a speech. 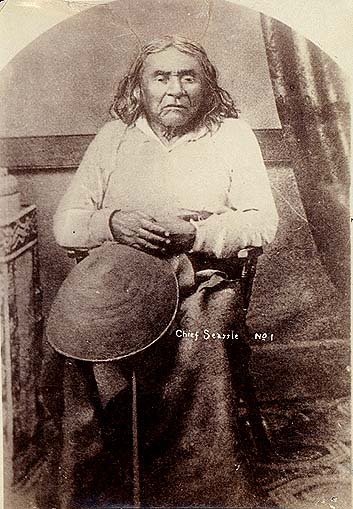 What is known is that Chief Seattle was a respected and peaceful leader of one of the Northwest Indian Nations. In the mid-1850s when the government in Washington, D.C., wanted to buy the lands of his exhausted and defeated people, he responded in his native tongue, with a natural eloquence stemming from his oral tradition. His words were transcribed by Dr. Henry A. Smith, who knew him well, and that transcription was interpreted and rewritten more than once in this century. Joseph Campbell adapted and brought Chief Seattle’s message to a wider audience with his appearances on Bill Moyers’ PBS series and in the book The Power of Myth. I too have adapted Chief Seattle’s message for Brother Eagle, Sister Sky. What matters is that Chief Seattle’s words inspired- and continue to inspire- a most compelling truth: In our zeal to build and possess, we may lose all that we have. We are learning that as stories are passed along they do change with each telling. 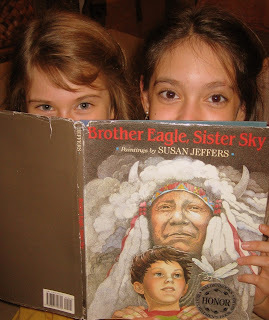 As The Mom reads Brother Eagle, Sister Sky she usually tears up, adding her emotional edits to the story The Sisters will pass along. *All quotes from Brother Eagle, Sister Sky, but since the book has no page numbers we are unable to reference them!